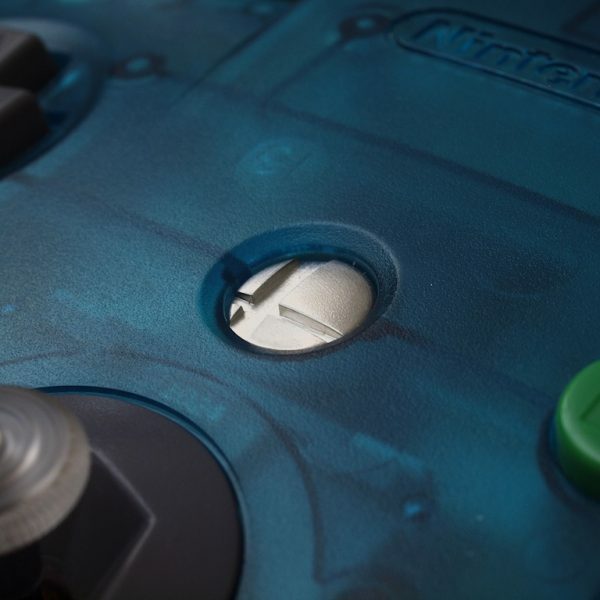 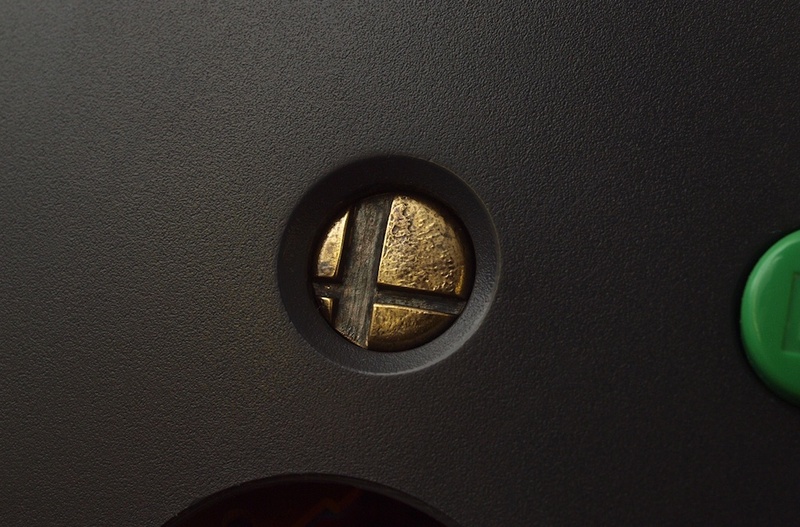 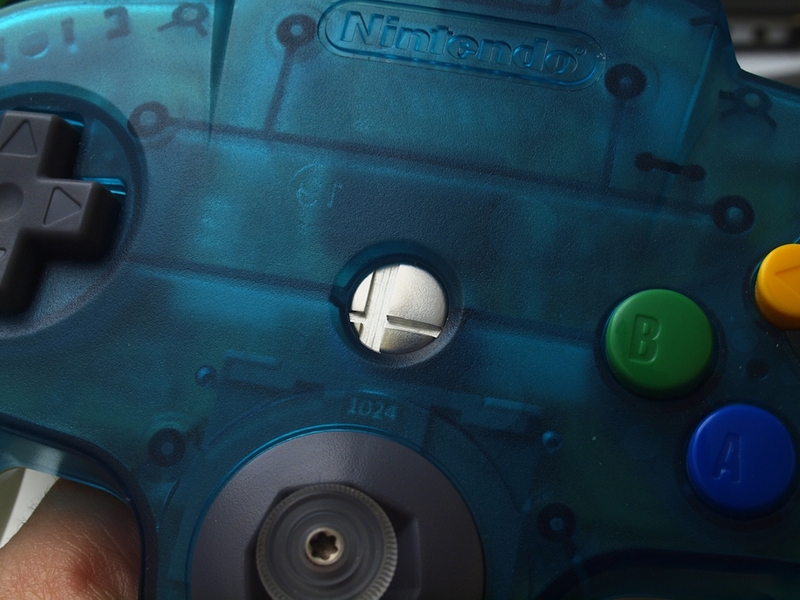 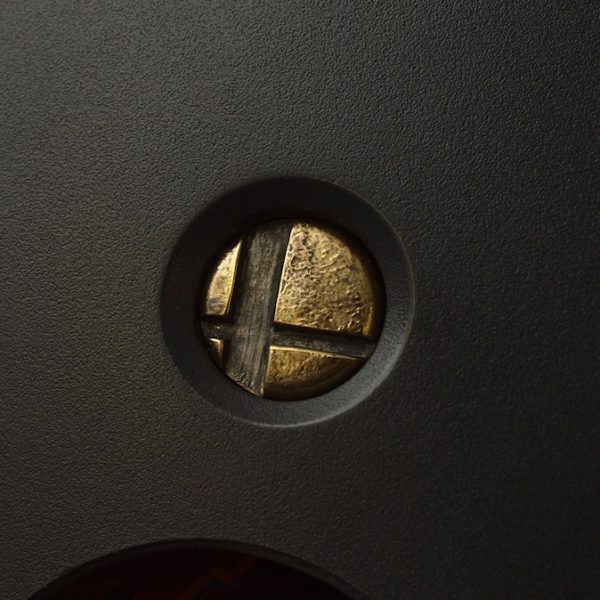 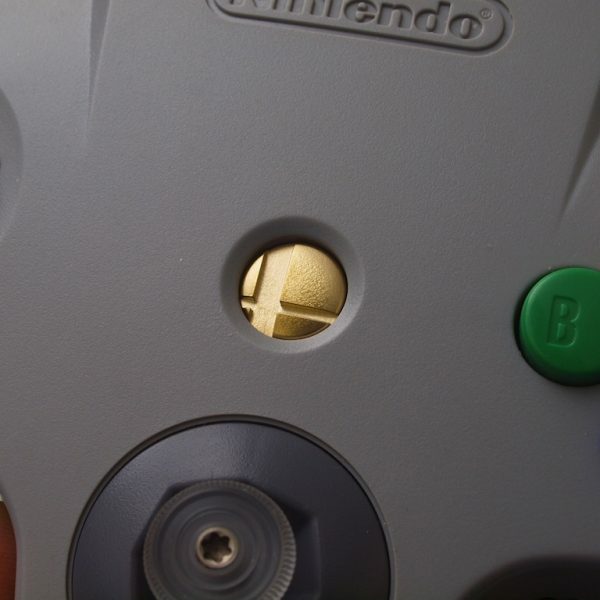 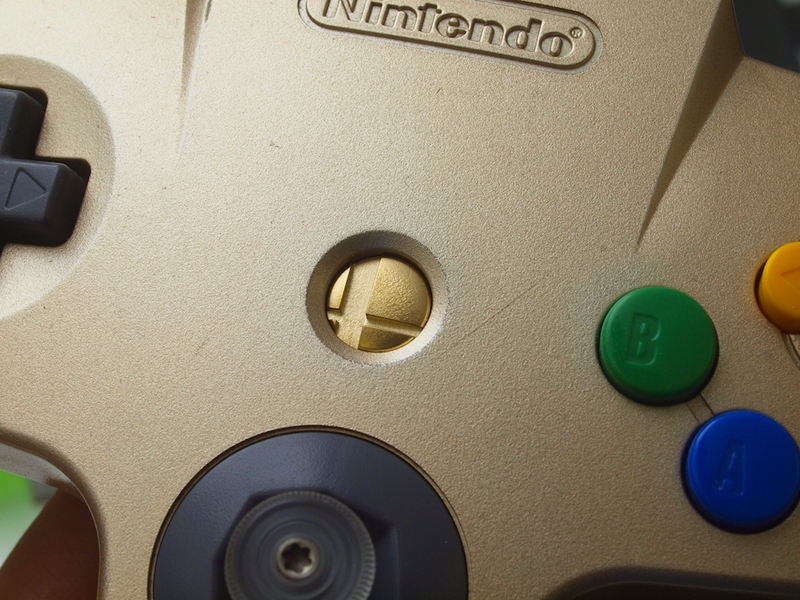 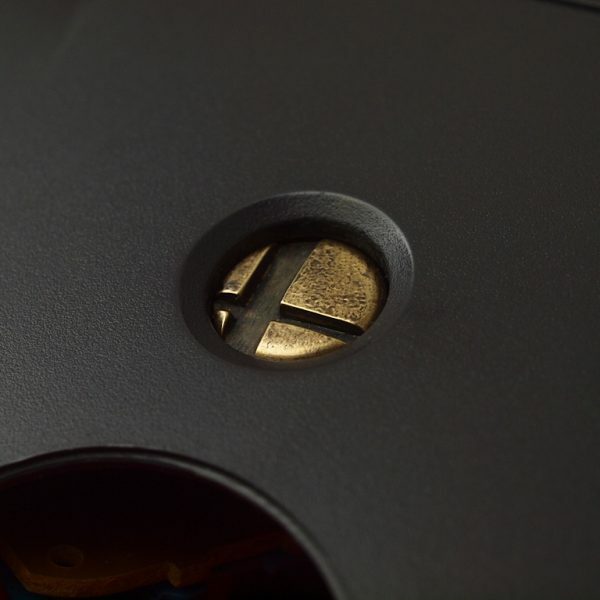 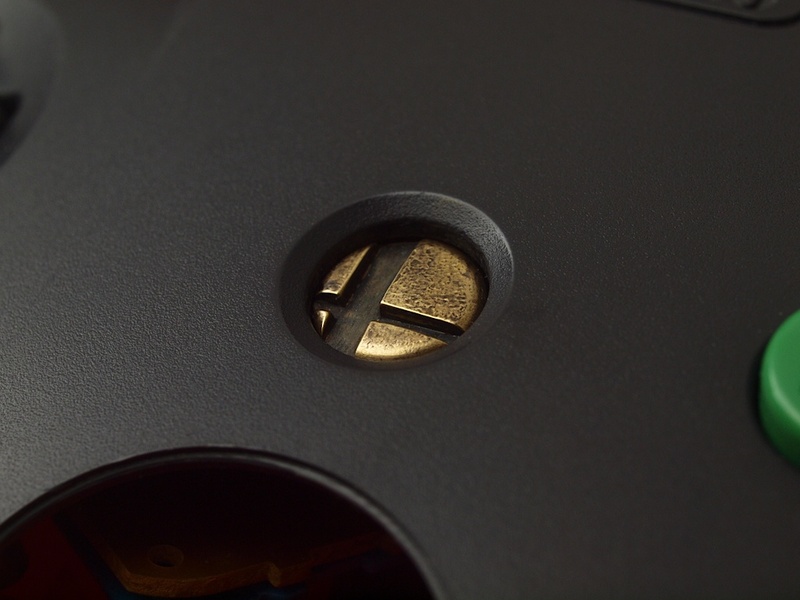 Here we have the latest iteration of my low profile start buttons intended for Smash64 players. 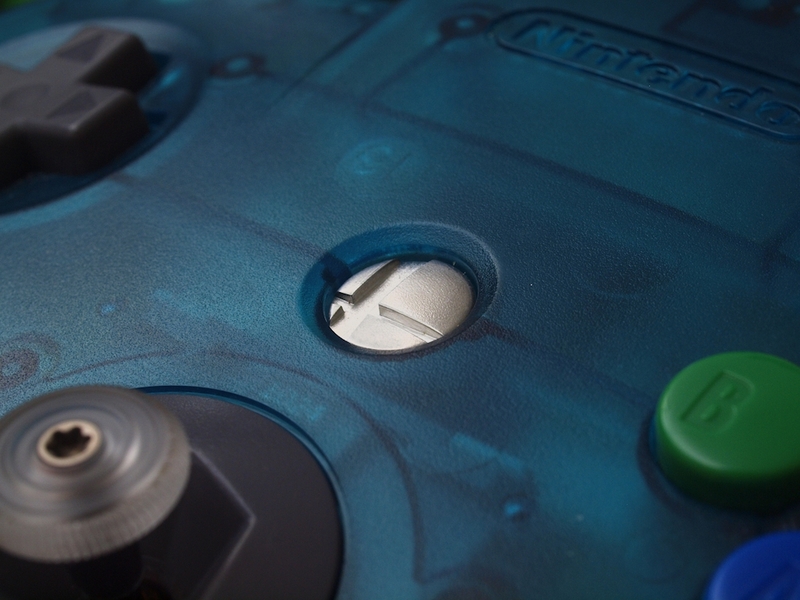 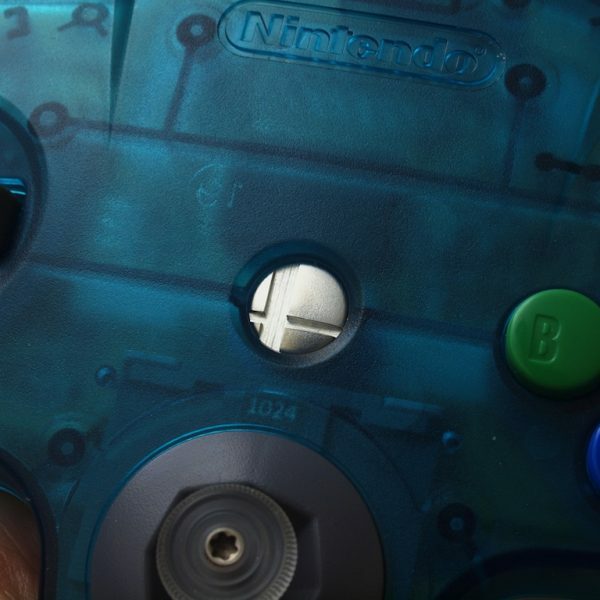 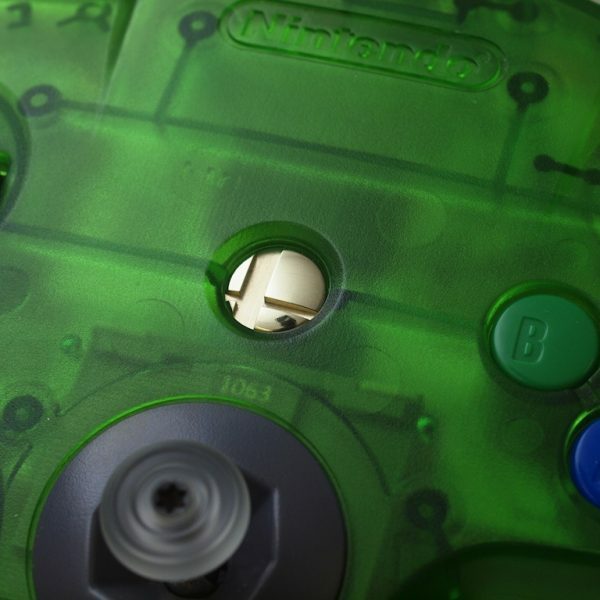 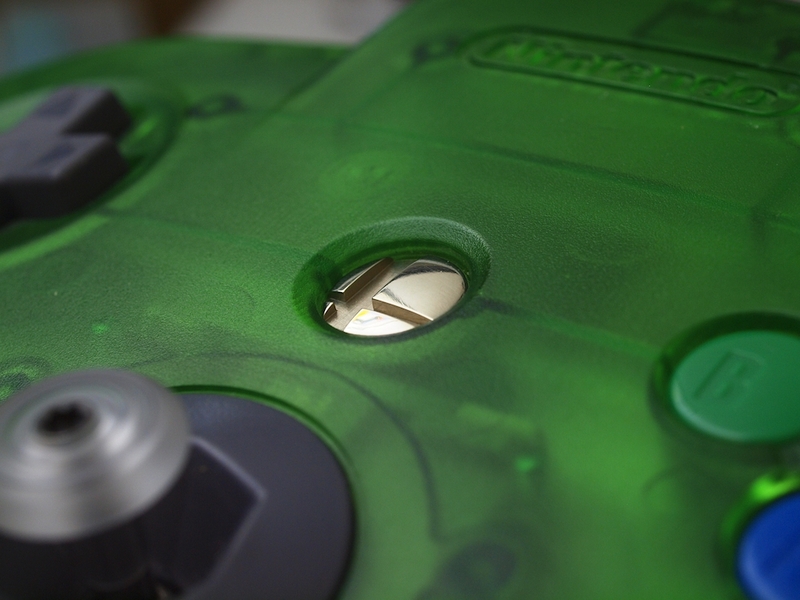 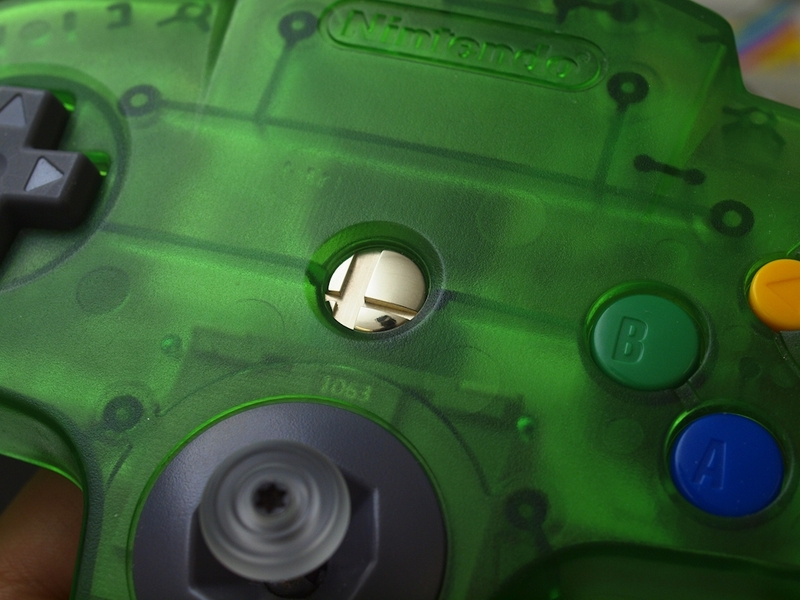 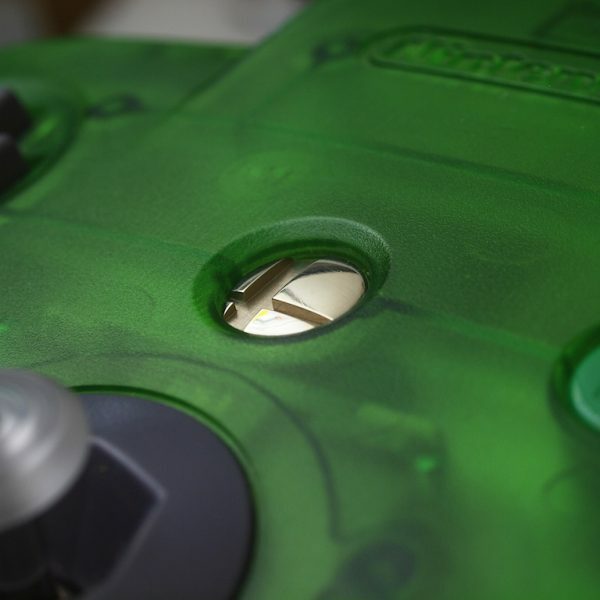 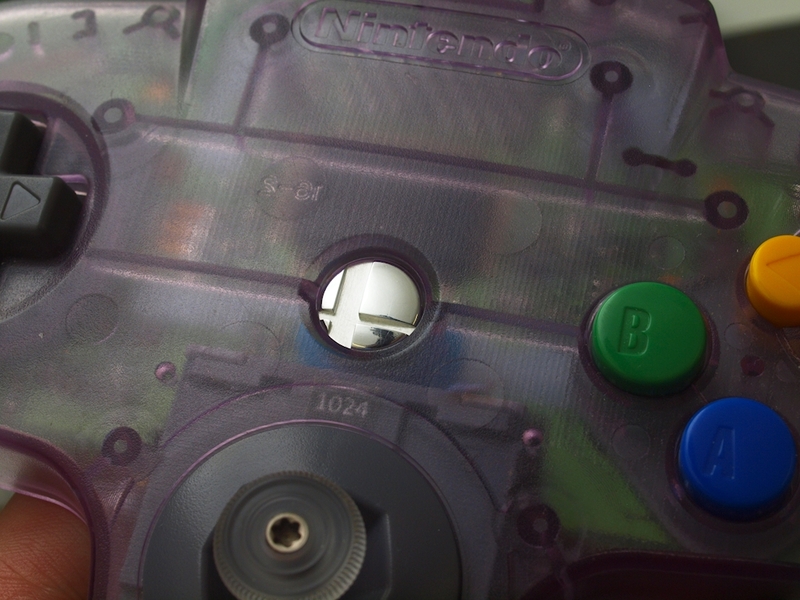 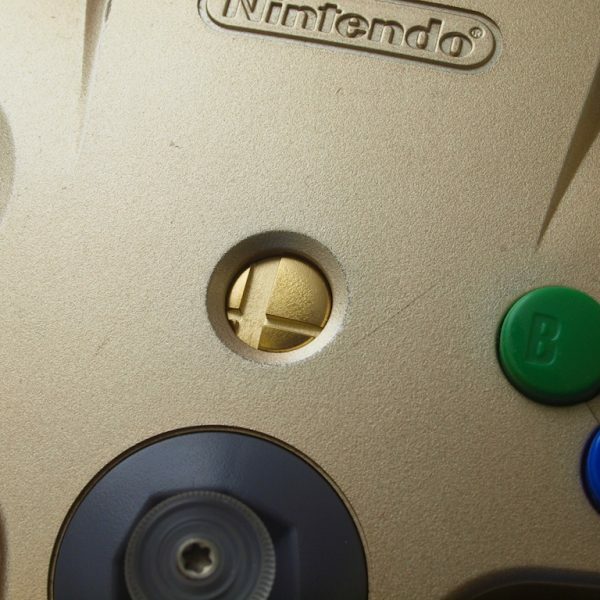 The buttons are about 2mm shorter than a stock N64 start button. 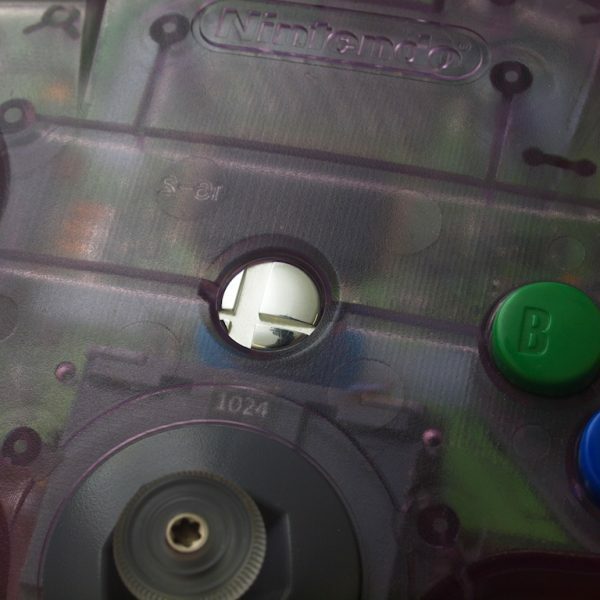 This means they are sitting below the surface of the controller shell and are much harder to press by accident. 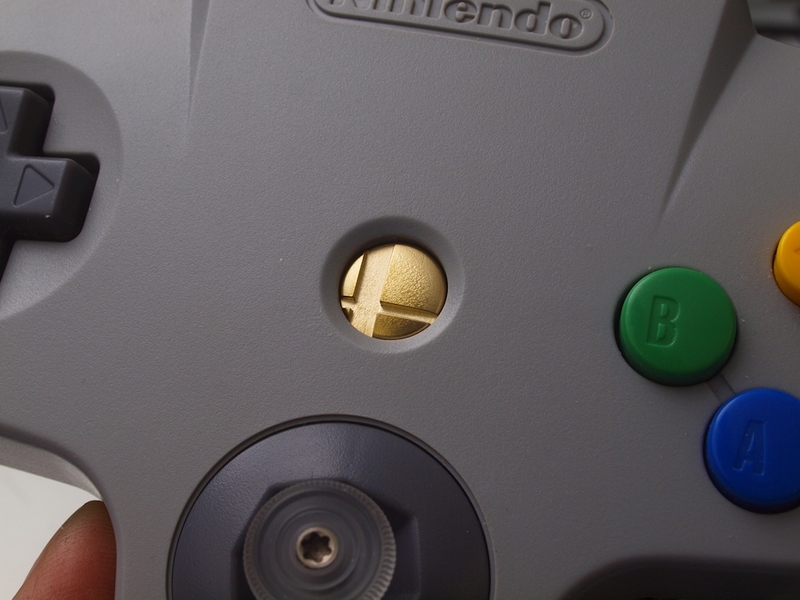 It’s still possible to activate the button with a thumb but it requires a more concerted effort to do so. 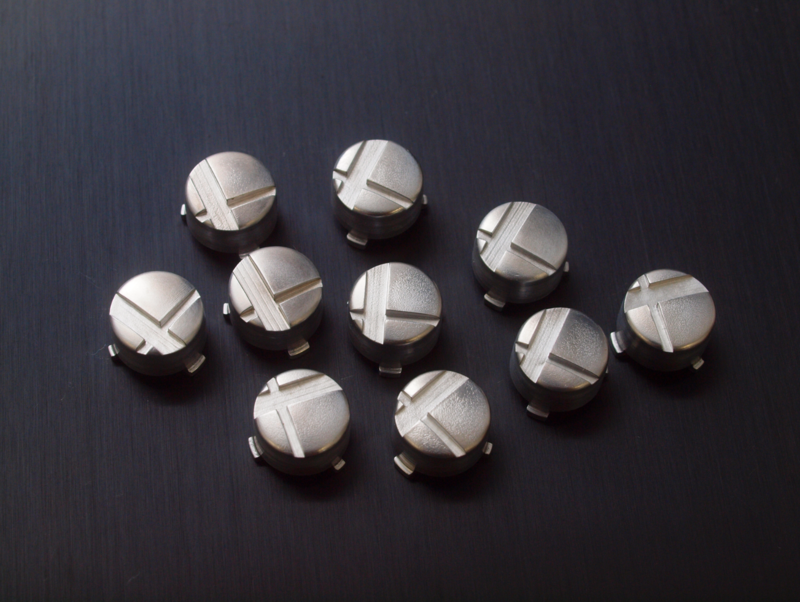 The buttons are cnc machined from solid metal bar stock and hand finished in various styles. 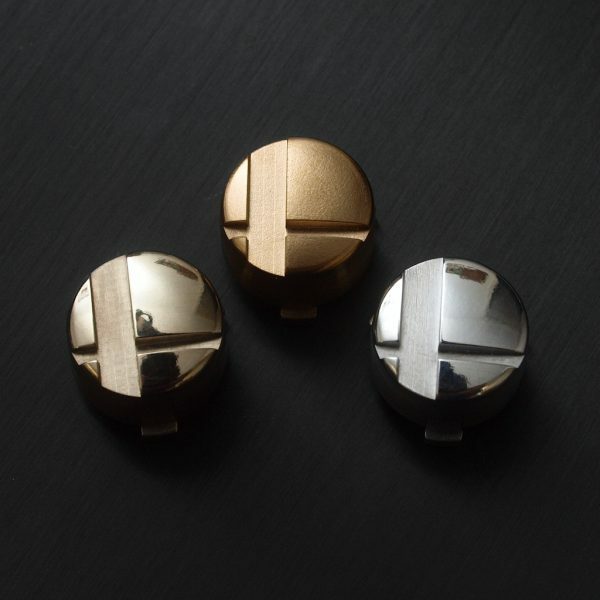 The brass caps have a slight orange peel or “Gold Nugget” finish, Copper has a satin/fine grained texture and the Aluminium Caps have been polished. 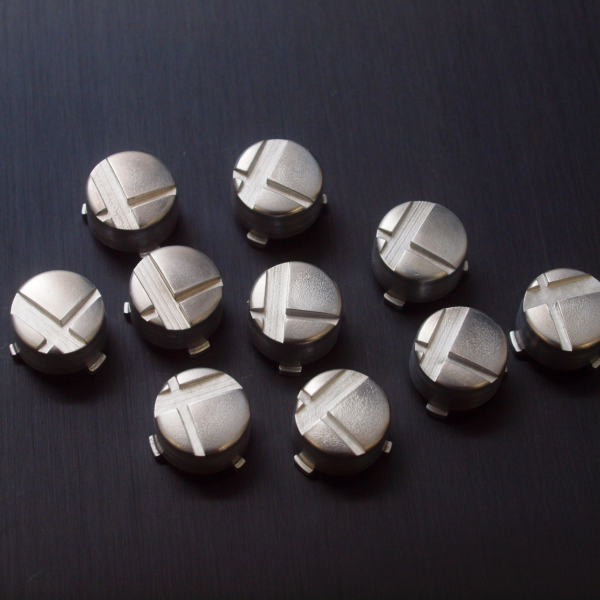 In addition to these original metal types and finishes I am now offering a variant made from Nickle Silver or “Neu-Silber” which as the name implies has a subtle yellowish silver look that is quite striking. 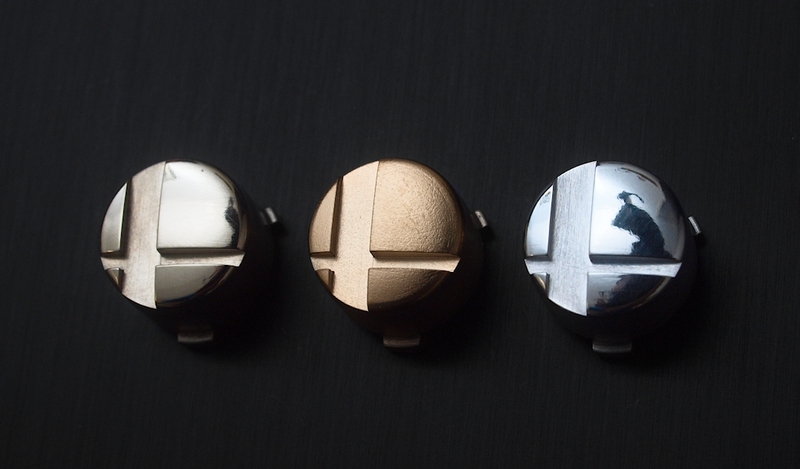 Aluminium caps are also available with a matte finish. 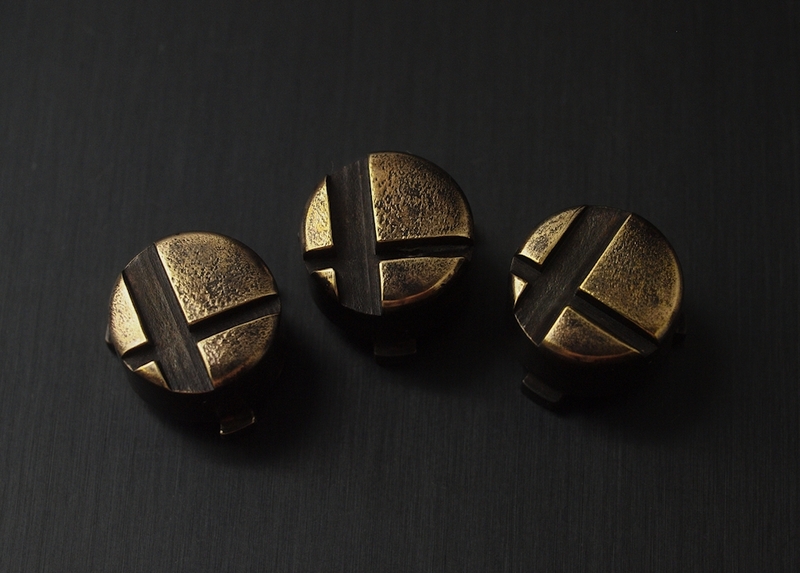 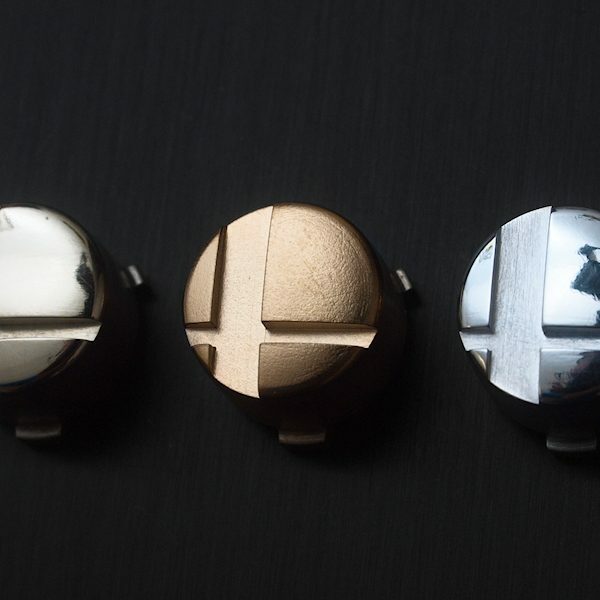 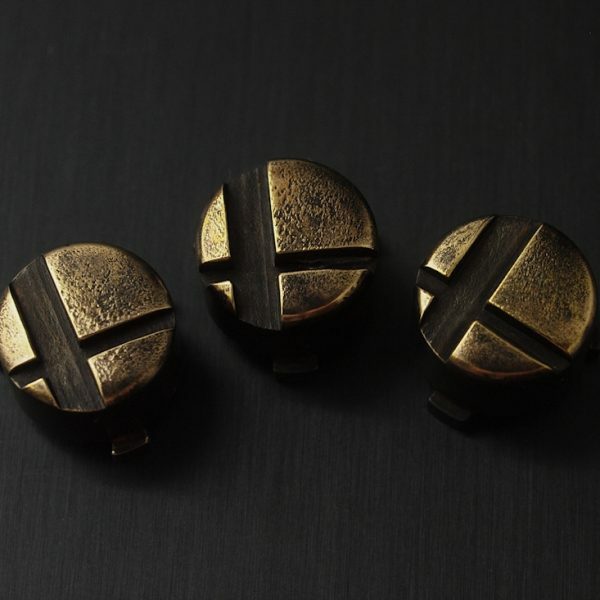 These buttons are hand made so expect some slight variation in finish. 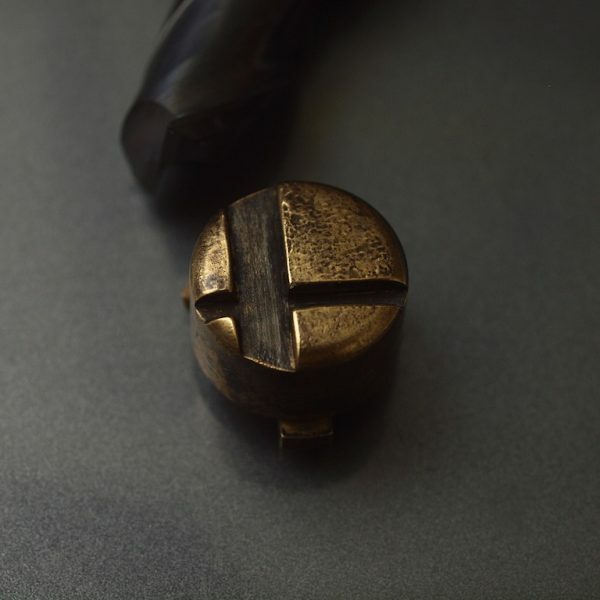 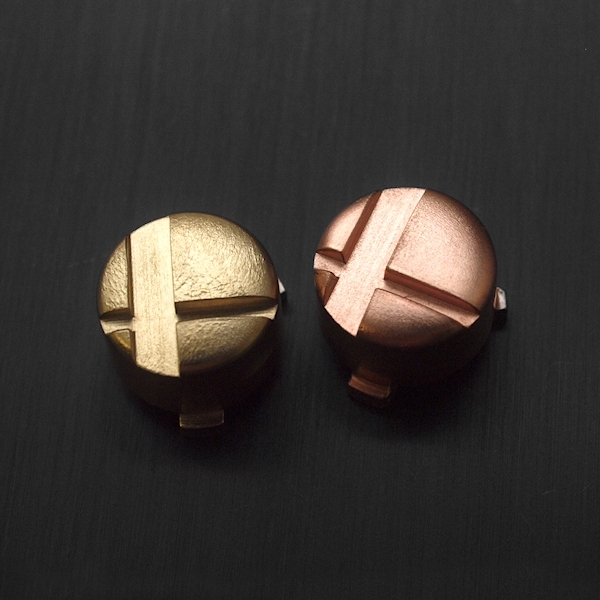 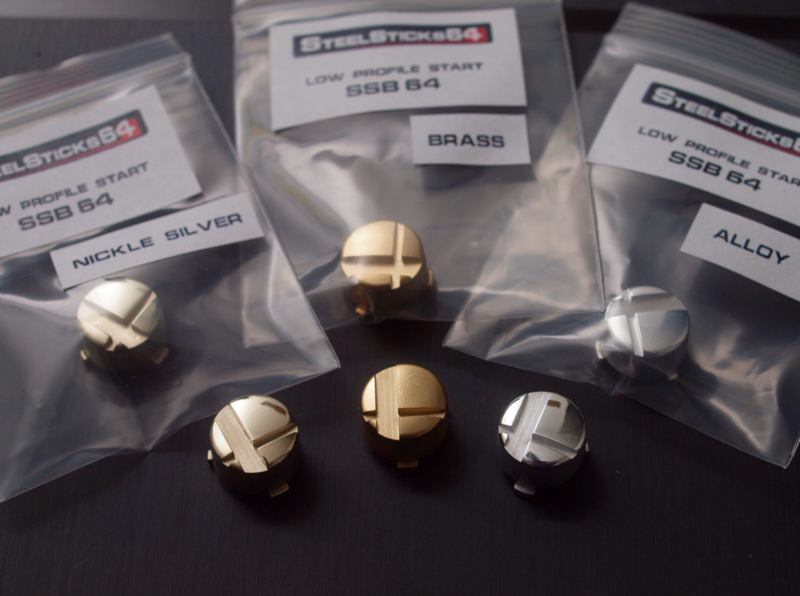 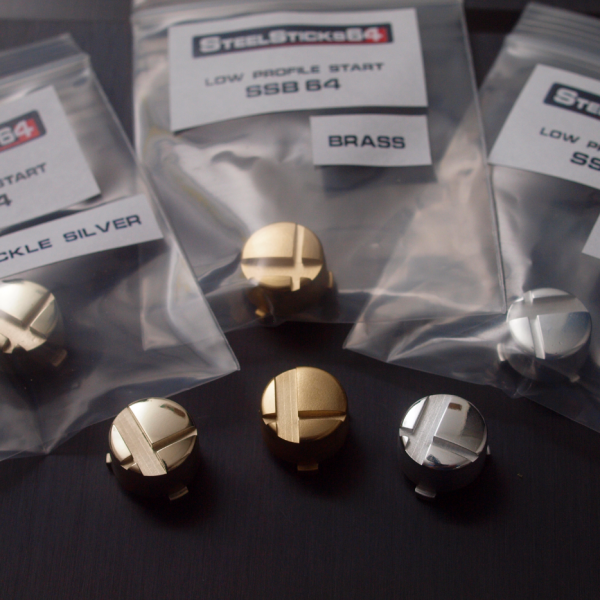 I now also offer an optional aged finish for the brass variant. 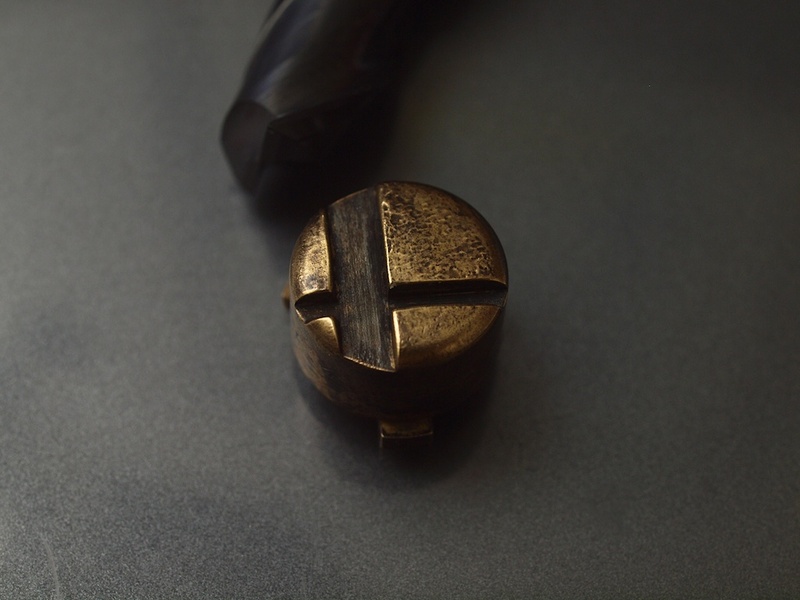 I use cold bluing solution to heavily tarnish the brass surface and partially polish it back to create a controlled patina or aged look. This is done to order so expect a couple days delay before shipping on this variant!